Cauliflower Leeks and Capers make a great side dish or star in your favorite Buddha bowls. 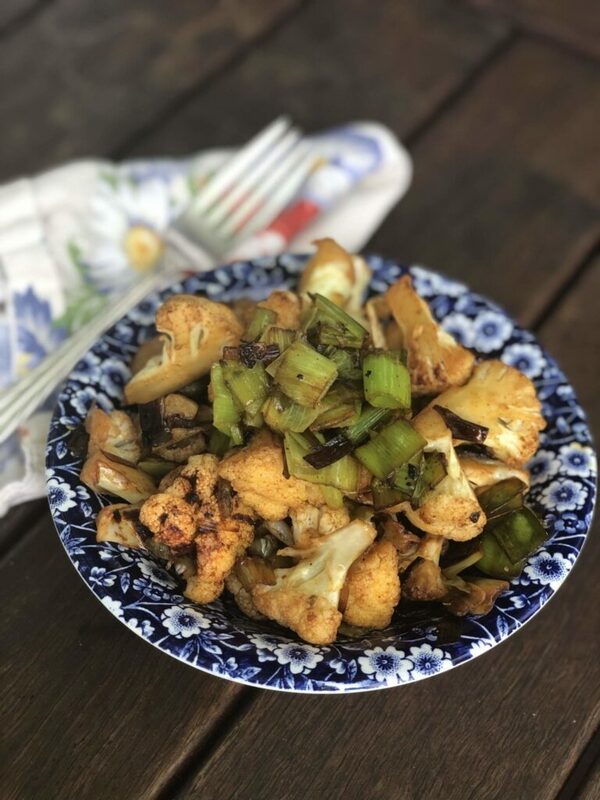 Vegetables like Cauliflower Leeks and Capers make a great side dish with fish, chicken or as a star in our favorite Buddha Bowls. Sweet paprika and salty capers makes for a flavorful dish. 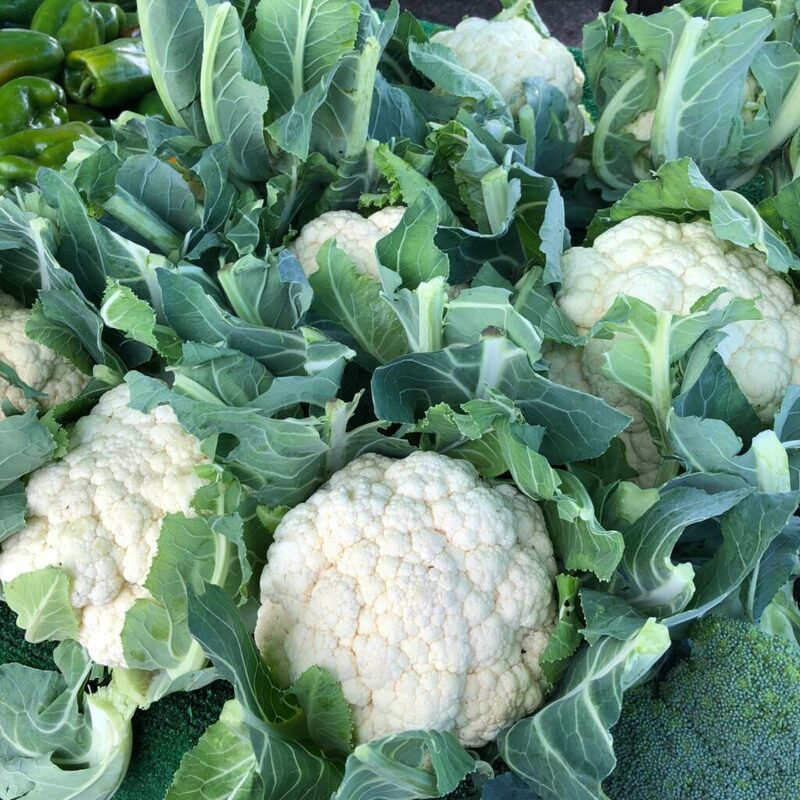 Cauliflower is from the cruciferous family of vegetables known for their anti-inflammatory, anti-cancer and heart healthy benefits! Loaded with vitamins, minerals, antioxidants and phytonutrients. Bonus, cauliflower is low in calories. Its great to eat raw, roasted or seared with leeks and capers. Cauliflower is a complete powerhouse food. Other great cauliflower recipes to try: Riced Cauliflower or Cauliflower Mashers. 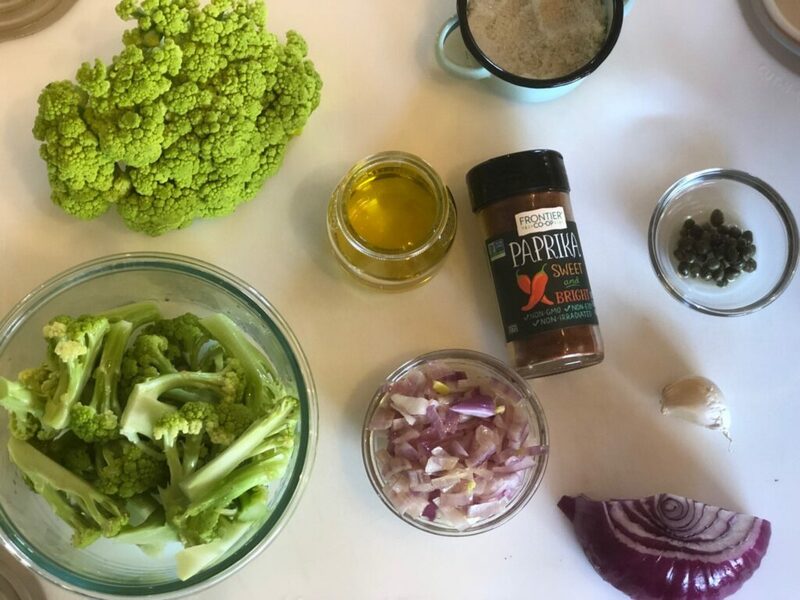 Watch our short recipe video that shows you just how simple it is to make our seared Cauliflower, Leeks and Capers. In a large pre-heated skillet add olive oil and leeks. Cover and cook for 1 minute until leeks are tender. Add cauliflower florets. Cover and sear for 3 minutes covered. If you don’t want your leeks super crispy, remove them before adding your florets. Return leeks back into the skillets after the cauliflower is nicely seared. Stir in paprika, salt, capers and garlic if using. Cook uncovered for 3+ minutes until tender, nice and brown. Look for other colorful varieties! 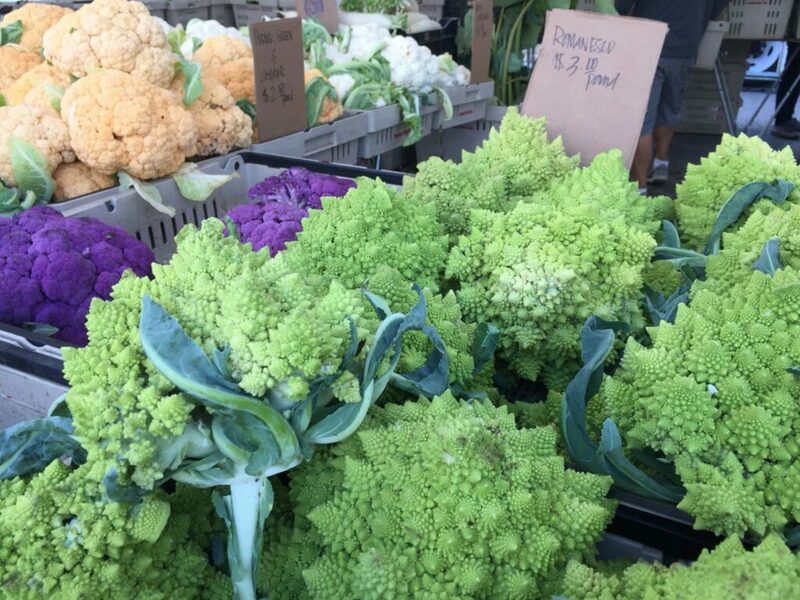 Pictured is Romanesco or Broccoflower, purple and orange varieties. Its fun to use other colors. Serve as is or with a yummy lemony tahini sauce. Great served over zoodles, as a side dish with fish or chicken or in a Buddha Bowl!